Are you still doubting the miracle working power of God? This adorable photo of a family will make you rethink as it’s guaranteed to melt your heart. 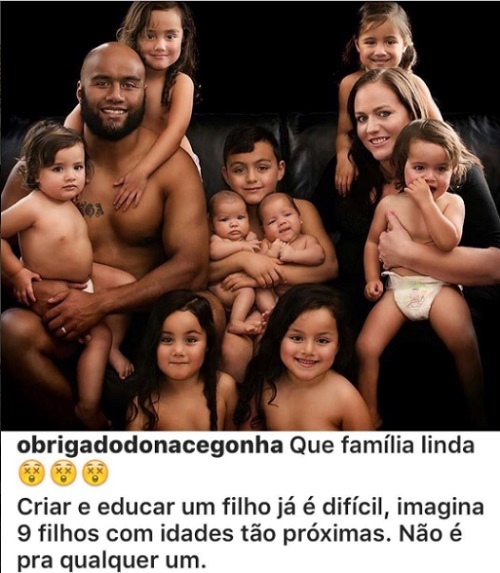 The above adorable family photo which emerged online after a photographer, Obrigado Dona Cegonha, posted it on social media, has melted many hearts and has been trailed with emotional reactions. The photographer revealed that they are a family of 9 with 4 sets of identical twins and a big brother. The identity of the couple and their location were not ascertained as at the time of filing this report.